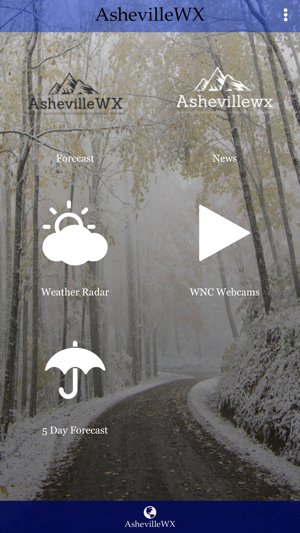 The AshevilleWX App is a fully functional weather application that covers the weather for Western North Carolina. Meteorologist Hunter Ward provides a daily 5 day forecast as well as forecast discussions leading up to weather events. 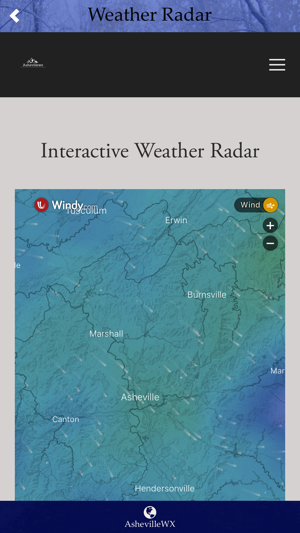 AshevilleWX also has a network of live cameras that can be accessed through the App, as well as live radar/winds. 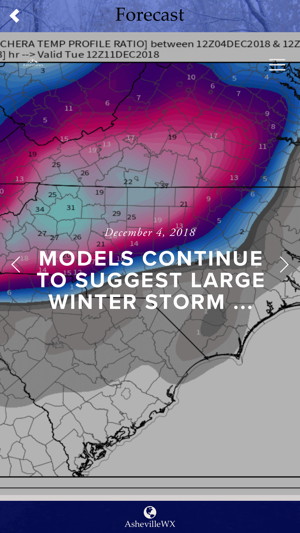 With the AshevilleWX App you will receive push notifications leading up to impactful snowstorms, and be kept in the know as storms approach! The app is amazing! 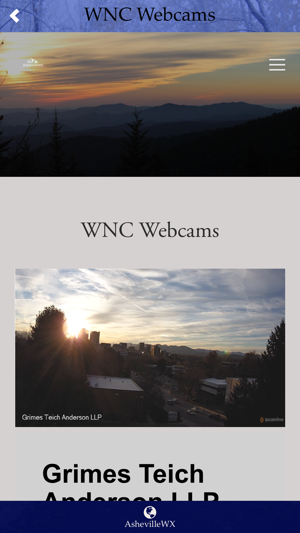 I get all my local forecasts and live videos daily! Also, I love the chat option for Q&A! The text is now fixed to white, so you can read everything! Love it! When looking at the weather radar page a lot of stuff pops up when you scroll through and you cannot see anything , also the temperatures are in Celsius. Apps a little slow, but that’s a small price to pay for a meteorologist who is at the top of his game. Highly recommend.